A very popular mystery novel, The Woman in Cabin 10, shows Lo Blacklock, the main character, with a severe anxiety disorder. Her narration details traumatic events throughout the plot during which she thinks she might die. As a result, her already pre-existing anxiety takes a turn for the worse. 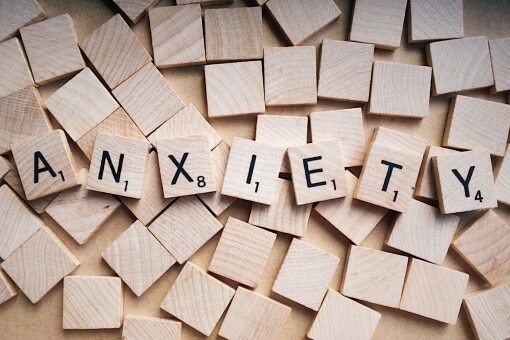 Anxiety disorder, also known simply as anxiety, is a feeling of extreme worry or nervousness. There are several forms of anxiety disorder, which can negatively impact day-to-day life on several different levels. Yes, technically anxiety qualifies as a mental illness. This condition appears in the Diagnostic and Statistical Manual of Mental Disorders (DSM), which is the main handbook used to diagnose patients around the world. Her experiences, which you’ll have to read about in the book, seem to give her Post-Traumatic Stress Disorder. But, it gets more complicated than that when she reveals that she was diagnosed with anxiety as a teenager. Lo talks about the first time she had a panic attack, which took her by surprise because she was very young. Not only that, but she also mentions how she never really had a reason for her anxiety. There was no one event that sparked it when she was younger. Therefore, this shows readers that her anxiety goes far beyond a traumatic event. Anxiety disorder can be a part of someone’s life, regardless of what they are dealing with. Her experiences just made her worrying worse with a form of PTSD. Overall, Lo’s struggles with anxiety, such as descriptions of the walls caving in around her and shortness of breath, come across pretty accurate based on clinical information. What does this book say about mental illness? While it is important not to give the plotline away, there is one scene in the book where the perception of mental illness becomes extremely prominent. After Lo Blacklock goes missing, an online discussion forum for detectives pops up in the book. This gives detectives and friends of Lo a space to discuss her case openly. However, some of the participants make assumptions about her underlying conditions and why she has gone missing. Characters in the book speculate on the forum by saying things like Lo has depression and takes antidepressants. One person writes that she is missing because she probably committed suicide. In response, her boyfriend, Judah, corrects their misjudgments. He knows that she has anxiety and has been prescribed anti-anxiety medication for a long time, not antidepressants. This mix-up of the two mental health disorders is a clear sign of a problem in society. Most people don’t know what anxiety disorder is and what separates it from other mental illnesses. This book also shows society making unwarranted diagnoses about other people’s mental health. Mental illness isn’t something that the public can makes guesses about, especially when there is a suspected death on the table. The author, Ruth Ware, seems to call out this problem by writing about people coming to conclusions that quickly. Not to mention, they turn out to be completely incorrect. The bottom line is that anxiety disorders are in their own category of mental illness. Every person deals with this condition in their own way. However, the all-around symptoms are nervousness and worrying, which may or may not be connected to depression. Doctors, not detectives or the public, should be the ones to make that call.